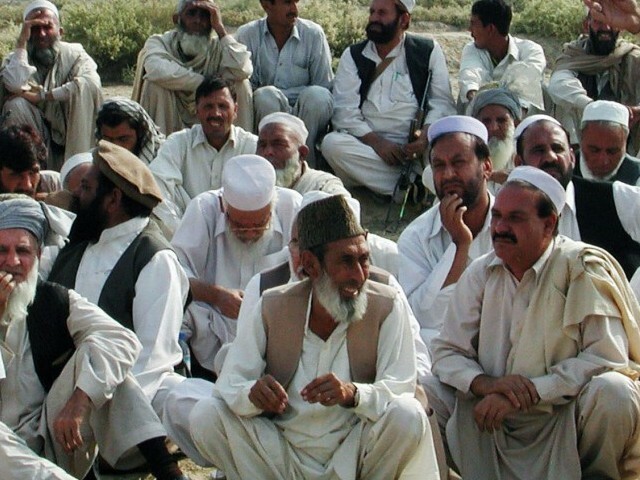 WANA: The members of Wazir Grand Jirga staged a protest demonstration against the killing of eight tribesmen from North Waziristan in Afghanistan on Sunday. The protest was held in the border village of Angur Adda in South Waziristan. Speaking on the occasion, the participants condemned the killing of the Pakistani tribesmen by the Afghan security forces. Earlier speaking at a press conference, the members of the jirga (village council) had called upon the United Nations, International Human Rights Commission and Pakistan’s embassy in Kabul to probe the killing of the tribesmen to ensure justice to the bereaved families. They appealed to Prime Minister Imran Khan, foreign and interior ministers and Khyber Pakhtunkhwa government to take note of the killing of Pakistani citizens. The elders claimed that the Afghan army personnel dragged the eight Pakistani citizens out of their homes and subjected them to severe torture before killing them in Barma area of Paktika province in Afghanistan. According to them, four of the eight killed Pakistanis were brothers and belonged to Shewa area of North Waziristan district. They had gone to Afghanistan to make a living.